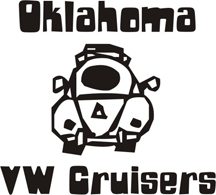 Oklahoma Vw Cruisers • Cars and CoffeeFIRST SATURDAY EACH Month! Re: Cars and Coffee - THIS SATURDAY! Has anyone from the club ever been to this? I've been 3 times. Good turnout of variety of cars. gone twice both times the lot was full. will go again in warmer weather. Re: Cars and Coffee - FIRST SATURDAY EACH Month! I've been every time except once. It's really done well from the start but now it's really large. Most folks start leaving by 10:00 so go early. But if you like cars....it was fun ! I've seen your car on there, long time? she will have her black 74 and I will have my Yellow Thing there. Cool! maybe ill bring my thing if i get the front suspension sorted by then. Coffee and Cars OKC shared a link. Our December Gathering is Saturday! Santa Claus will also be at the mall starting at 10am! He is hosted by the OKC Rotary Club & all proceeds will be donated!.check out our newsletter for more info or the link for picture packages! Visit is free & photo packages start @ $5 - Santa will even see your pets! are slick, and or salted....that very many will bring their "garage queens"
running late to Walmart in her SUV that can not drive on good roads, let alone crappy roads. Saturday Morning what the conditions will be ?? I've been when it was 30 degrees and that was not much fun. I love going but 8 is not good enough to bring me out. "intervals of clouds and sunshine. High 48F. Winds N at 10 to 20 mph." above the weather copied and pasted from "Weather Underground"
If i get something together by then i might roll out. wow. lots of vws ive not seen before, nice.